Is the man who challenged the father of Ateneo Bully found dead? Multiple reports had been surfaced online claim a man who alleged the father of an accused Ateneo bully student has been found dead. However, the video used in the reports shows a 2016 news clip about an unrelated incident. Also, the Filipino-Canadian Army and the Canadian Armed Forces confirmed to AFP that he is still alive. According to the report like this and this then claimed the man who made the challenge has been found dead. LIVE LEAk: "Isang Bakasyunistang Naghamon Sa Ama Ni'the accused bully' Natagpuang Patay," sain in the headline. "A man who went on a vacation to the Philippines and challenged the father of 'the accused bully' to a a fight has been found dead," as translated to English. 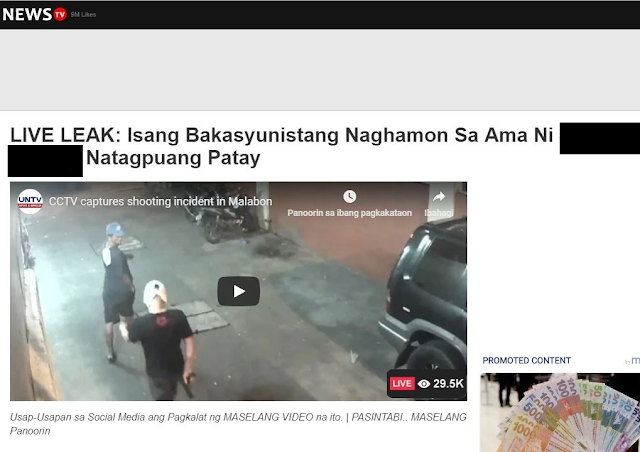 The website that published the false reports embedded a video report with the same headline. However, clicking on the video leads viewers to a news report about an unrelated incident in 2016. The clip is a report from local news organization UNTV about the shooting of an unidentified man. Following to the report, AFP sent the photo montage and the link of the false report to the Canadian Armed Forces. A spokesperson confirmed that the man in the photo is Otazu and the reports on his death are false. “I can confirm that Master Corporal Joseph Perez Otazu reported for duty today, January 8th, 2019, after having spent some time on leave with family over the Christmas season. Thus, the posts referring to his death are false,” Lt. Kelly Boyden, public affairs officer of the Canadian Armed Forces, told AFP in an email on January 8, 2019. Joseph Perez Otazu is a combat veteran army who got deployed in Afghanistan and now an instructor said that the parents of Montes should held accountable about his behavior. “I don’t really blame the kid for that kind of behavior, I blame the parents for that,” Otazu said. 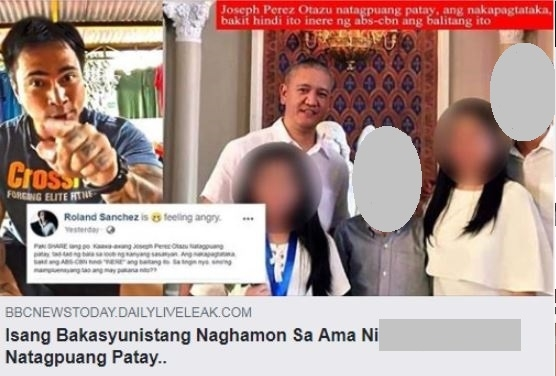 “It’s up to you as a parent to control your kids, teach your kids respect and alam mo naman yan kung if your kid is exhibiting that kind of behavior, it’s up to you to correct your kid,” he said.